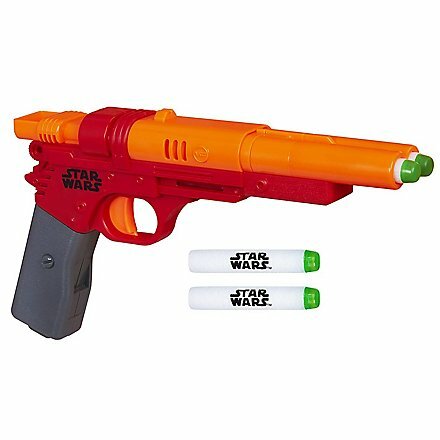 Qi'Ra's Blaster from the Han Solo movie as a Nerf Gun. 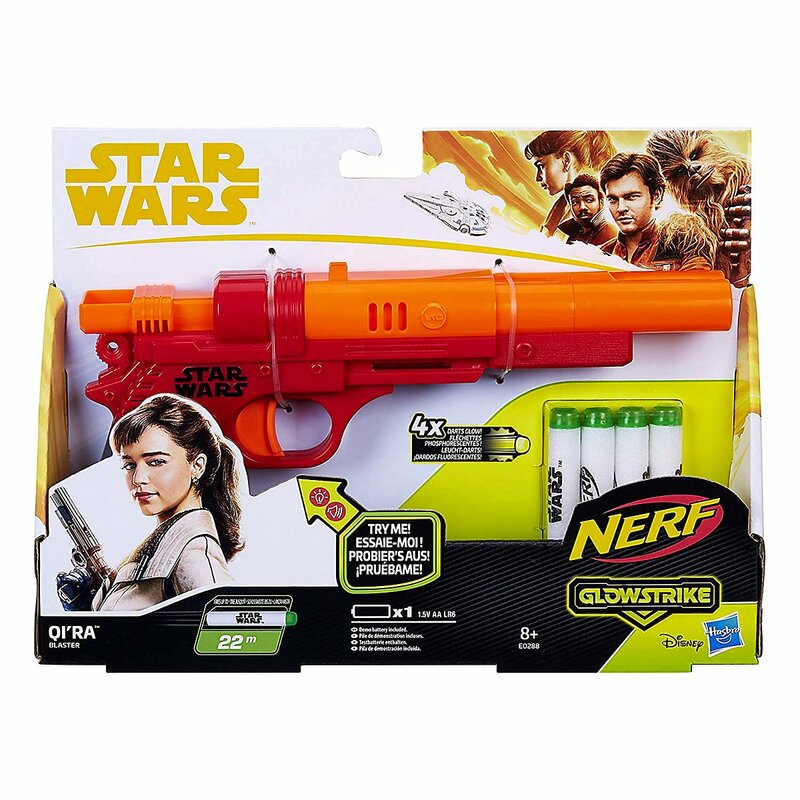 Qi'Ra's Star Wars blaster features GlowStrike technology that lets darts glow as you fire them. In addition, laser sound effects add a cool Star Wars feel. 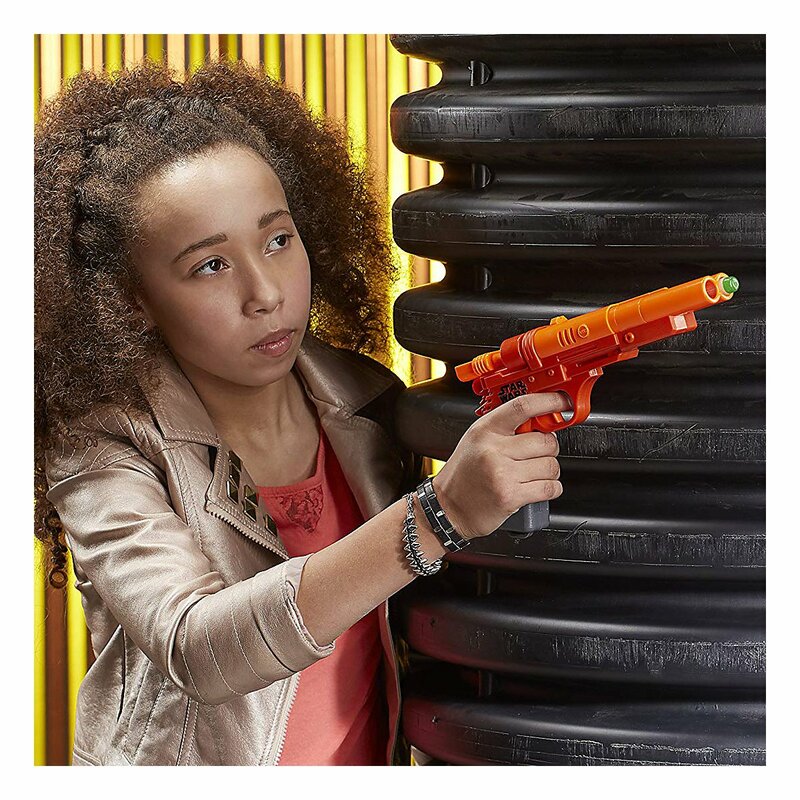 The blaster is loaded with two darts, and pulling the sled back activates the GlowStrike technology. 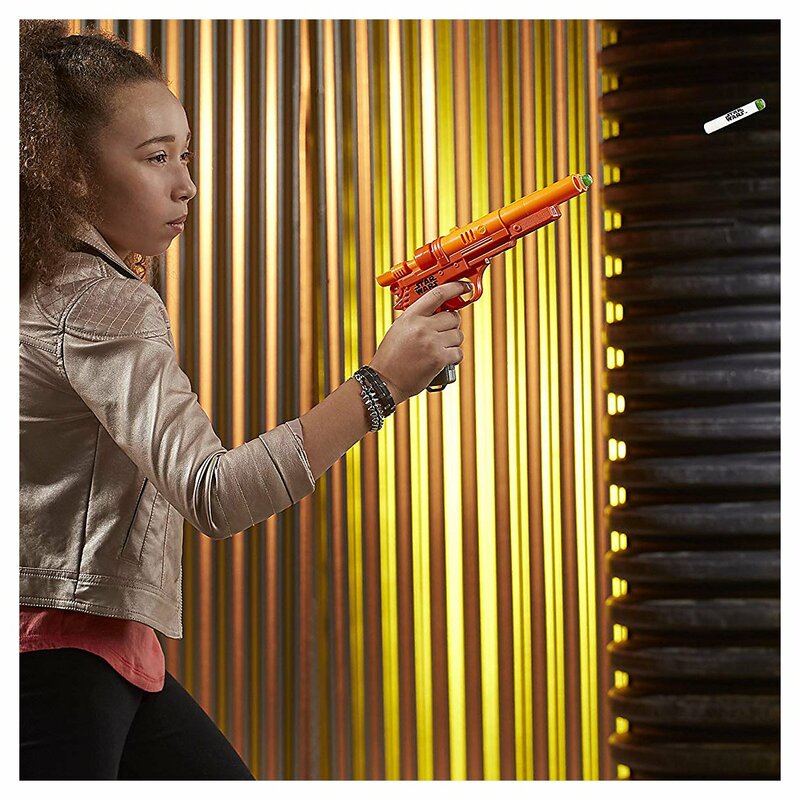 The glowing darts from the Star Wars Nerf Qi'Ra Blaster will amaze all your opponents! The Blaster comes with 4 GlowStrike Darts. With this Blaster you are perfectly equipped for every galactic battle.